I can't see my off hand in first person, but I can see it third person and it does damage. Can this be fixed, or is it normal? can you tell me if it has a version for 1.7.10 please!! Same here, I have no idea what's causing it. could you guys make this mod for a snapshot of 1.9 or something plz? That's nearly impossible since there's no good API for any 1.9 snapshot. 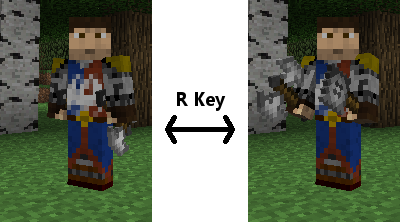 i really like this mod, update it to 1.9 ... override vanilla dual wielding. I CANT EVEN DESCRIBE HOW AMAZING THIS SOUNDS! I'M DOWNLOADING NOW!!!! 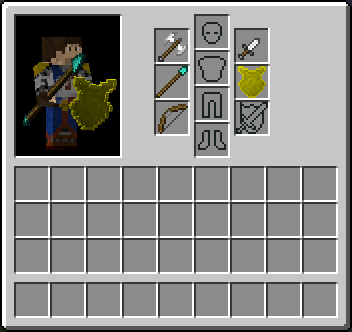 someone tell me when will release the next version 1.7.10 of the mod that does not have bulg not be able to use the two swords ?